I develop effective, user friendly websites for small and medium businesses. Visual and functional sites including ecommerce, responsive and fully integrated with social media. We offer no lock in contracts and allow our customers to choose their own site management program. Platforms we use include Wordpress, WIX, Squarespace, Weebly and Shopify depending on your requirements and preference. We offer web hosting, security, SSL certificates, emails, domain registration and ongoing website management. Your website is the most important sales tool you have. Digital real estate is important in building credibility, providing information and selling your products and services. The purpose of your social media campaigns is to drive traffic to your website where the most up to date and comprehensive information about your business lives. It is the digital home of your businesses and encourages your customers to take actions such as calling you or buying your products directly. If your website is not efficient or out of date you are not doing your business any favours. Competition is fierce and if your website isn't giving customers what they want, they will seek our your competitors that are doing it better. 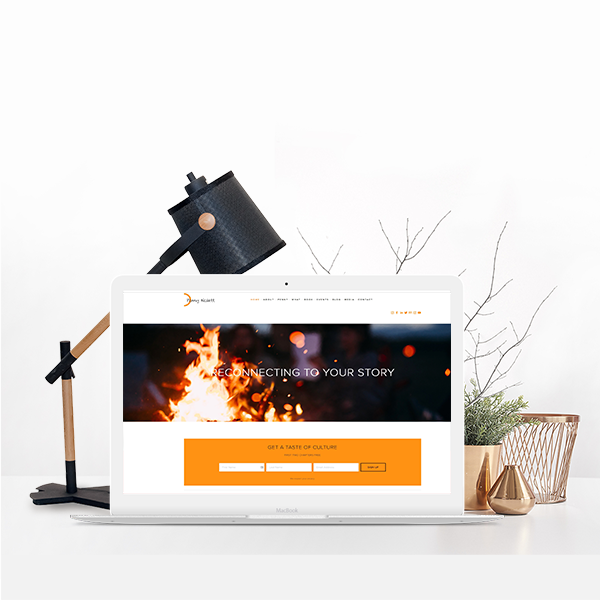 A 'la Marketing offers website design based on Wordpress, Wix and Squarespace platforms, making them easy to use and change and without high costs associated with custom build sites. Our sites are simple, visual and effective, putting your business up in lights while providing customers with a user friendly experience. *Prices quoted above do not include hosting and security. Ongoing support includes broken links, website fixes and general assistance with troubleshooting. Support hours are designated according to website package purchased and are at a minimum of 1 hour per month. Additional support hours can be purchased on an hourly rate. Ongoing subscription fees for cloud sites such as WIX, Square space and Shopify will be charged to the customers creditcard. Paid plugins will be charged to the customer. All additional costs will be quoted and agreed to by the customer.